The beautiful day lilies I purchased were on their last legs - petals and pollen were falling everywhere. But I managed to squeeze in one more tiny photoshoot before I had to throw them in the bin. I think it turned out pretty well. 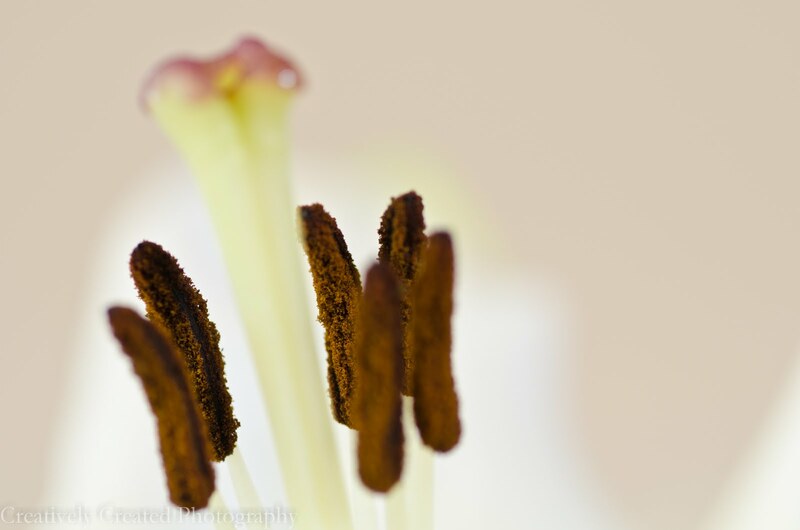 I really wanted to create a little depth and dimension in this photo so I decided to focus on the pollen bud (?) in the back rather than the ones at the front. I am constantly amazed at the level of detail I can capture with my macro lens. There is an astounding level of detail that the naked eye simply misses.